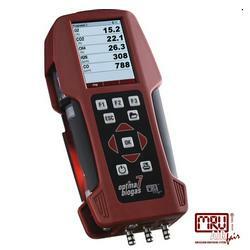 MRU Instruments is proud to offer high-end emission monitoring systems for your needs, including handheld and stationary emission analyzer selections and gas analyzer instruments, to business all over the world for more than 30 years. Our business caters to a wide array of businesses, offering our gas analyzer technology and other instruments to people working in the steel, cement, and glass industry, as well as breweries, power plants, boiler manufacturers, and refineries. Founded on 1st, June 1984 with just 2 employees MRU developed into a nationally as well as internationally respected enterprise. At its headquarters in Neckarsulm – Obereisesheim, Germany, MRU develops, manufactures and sells Emission Monitoring Systems such as a portable gas analyzer and stationary gas analyzers for use all around the world, employing approximately 100 people in the German head office. The driving power was not always the intent of environmental protection rather than saving energy. Continuous innovation still today is the source for the success of MRU. 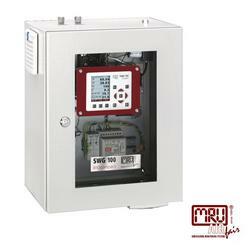 MRU Emission Monitoring Systems are being exported in more than 70 countries worldwide. 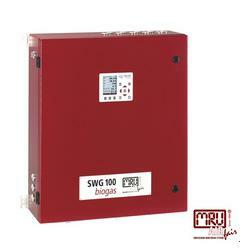 From a quite small beginning, our company developed into a medium-sized, globally acting and very successful enterprise. In 2012, a new facility, 2.500m² (26900 ft2) in size and equipped with most modern manufacturing possibilities, went into operation. Right from the beginning, MRU has only aimed upward and forward, never neglecting the companies employing philosophy. Our employees contribute to the wellbeing and the success of our company with their valuable and responsible work. 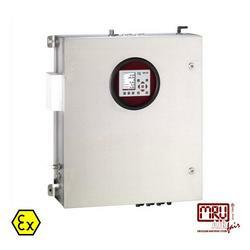 They are important guarantors for high-quality and long-lasting Emission Monitoring Systems of the brand “MRU”. 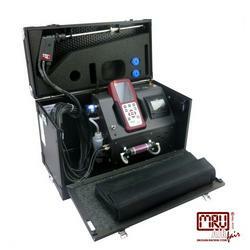 Now emission monitoring can be done through stationary, handheld and a portable gas analyzer from MRU. Always focusing on the future, no time to rest on success, pushing MRU forward untiringly, founder and Managing Director, Erwin Hintz, continues his search for new products and new markets. When our business was established in Germany in 1984, we had only two employees. Since then, we have grown exponentially and now have two plants that serve more than 70 countries all over the planet. Review the many high-end options we have available and request more information about an emission analyzer for your business.